OK, so now you are feeling good because you managed to make a 7-day countdown with that printable. You have vowed to do better next year. This is something you can bookmark for next November! I made a version from scratch. It was pretty easy. 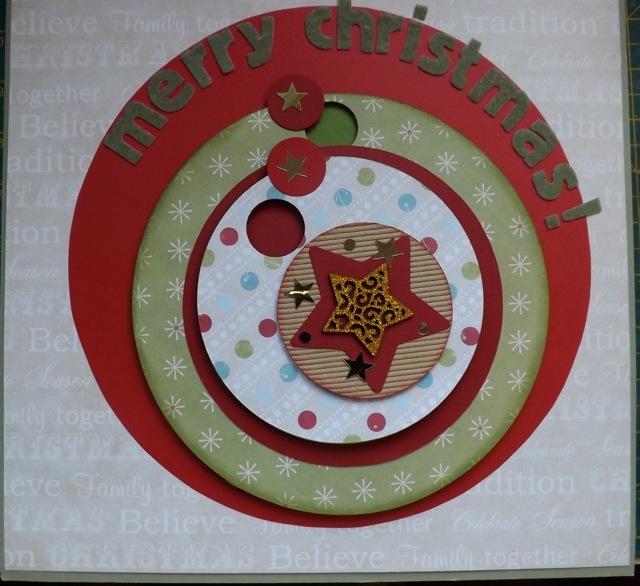 With just a circle cutter and a punch you can make one too! In addition I have a very large 10 inch circle that is decorative and a small 3 inch circle with the topper for the centre decoration. 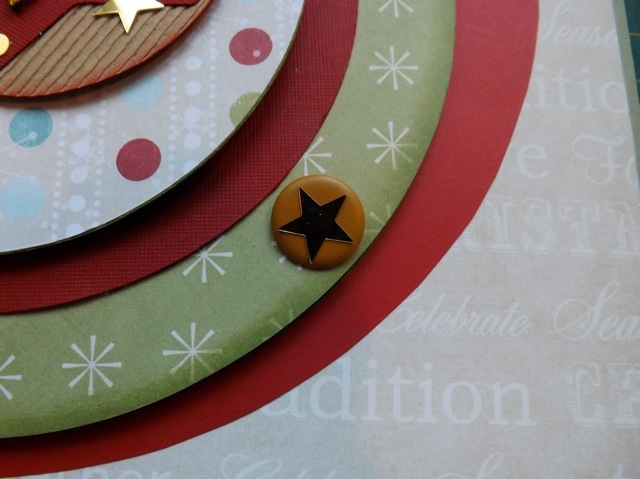 Your circles can be plain cardstock or card covered with patterned paper. Keep in mind your brad needs to be able to secure all the layers so don’t get crazy with the layers unless you have a really LONG-legged brad! Start by finding the centre of each circle and punch a hole for your brad. I offset mine for a wonky look, cause I’m like that, but a centred hole is easier. 1. Print or stamp numbers 1 to 25. They must be small enough to fit within a 1 inch punch. Punch them out. Punch 4 additional circles from plain cardstock to make tabs. 2. Punch a 1 inch hole in circle B. It should be about 1/8th inch from the edge. 3. Stack circle A and circle B and connect them with the brad. 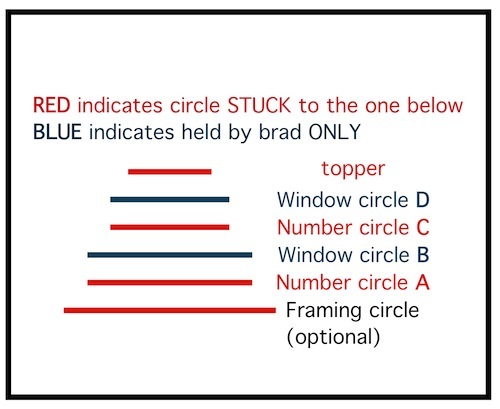 Using the position of the hole in circle B, stick the numbers to circle A. This will ensure the number show thru the hole as the window is rotated. Give some thought to how you want the numbers to look. I chose the blank area to be at 12 o’clock. I opted to have the numbers around the edge, perpendicular. You can, instead, orient them as I did for the INNER circle, so the numbers read horizontal thru the window. I’ve done one each way so you can see the effect and decide how you want to do yours! Likewise, decide if you want the tabs to the left or the right of the circles (again, I did one each way.) Might make a difference if you want to make a “lefty” version of this. When you get to 18 there should be a blank area left. Once you’ve counted down to there, the last week will count down using the inner circle! 4. 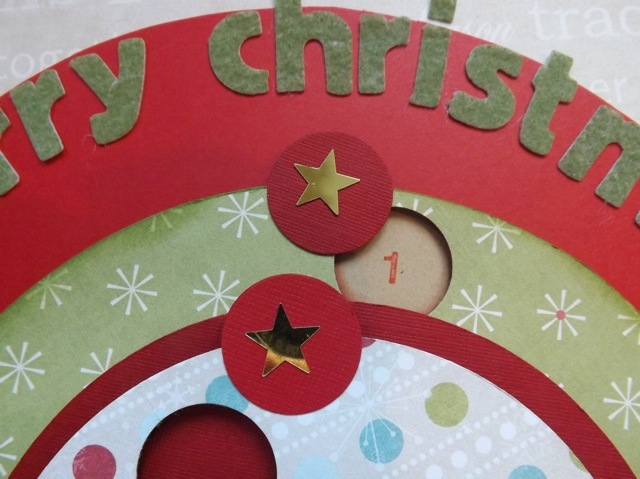 Punch a 1 inch hole in circle D. Repeat step 3 with circles C and D to create the final week of the countdown. 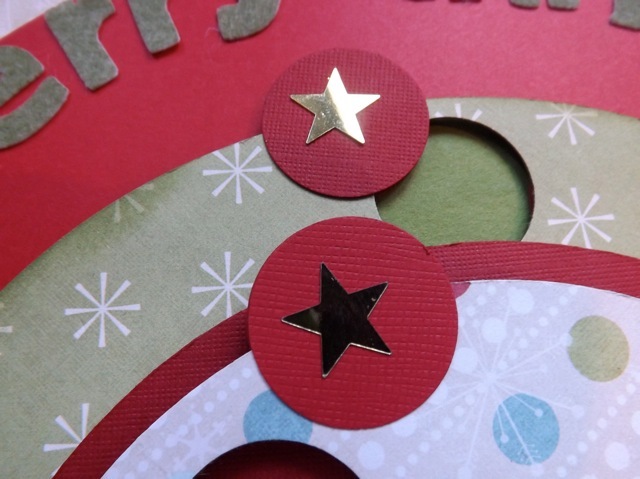 Make your centre decoration – I decided to use a STAR as that looks good even when it rotates and that makes the assembly very simple! The real trick is which circles are stuck and which are only held with the brad, allowing them to move. 5. Thread a LONG brad thru circles A B C and D. Orient the circles as you want them to be. Test them. See if you like them. Once you are happy, stick circle A to either your framing circle or to your background. I backed mine with a 12 x 12 inch piece of cardstock topped by a slightly smaller (11 1/2 x 11 1/2 inch) piece of patterned paper. 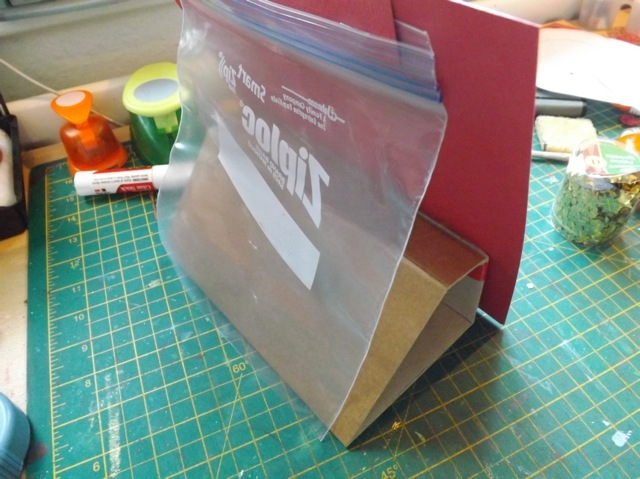 Like with the printable version, you can add a bag to the back for 25 treats, and stick the whole piece to a folded cardboard stand. Note this – the circles will perhaps rotate when you dont’ mean for them to – this mostly happens with the back window circle. If this bothers you or if you are letting a small child turn the circles I would set circles A and B on the blank spot between 18 and 1. 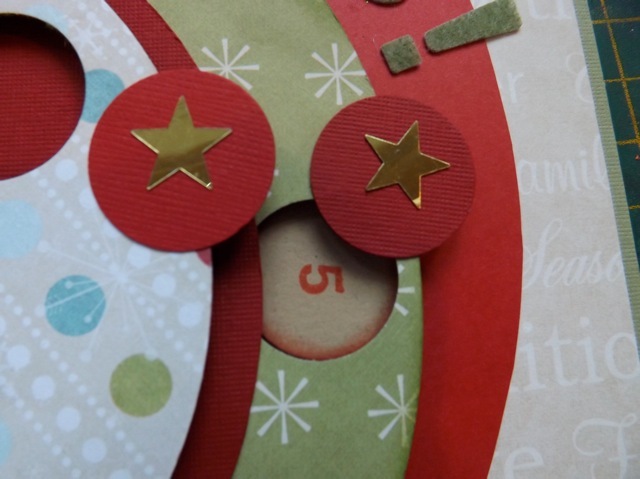 Punch a small hole thru circle A, circle B, and your backing, just close to the outer edge, between two numbers. When you are using the outer circle for the first 18 days, thread a brad only thru circle B and fold the legs really flat – this will hide the hole but keep the brad from catching on anything. Once you are done using the outer numbers, thread the brad thru both A and B and the backing to hold the back circles in place. That will still allow the window circle D to rotate. Next year, just change it back to allow the rotation till day 19 once again! So there you go. 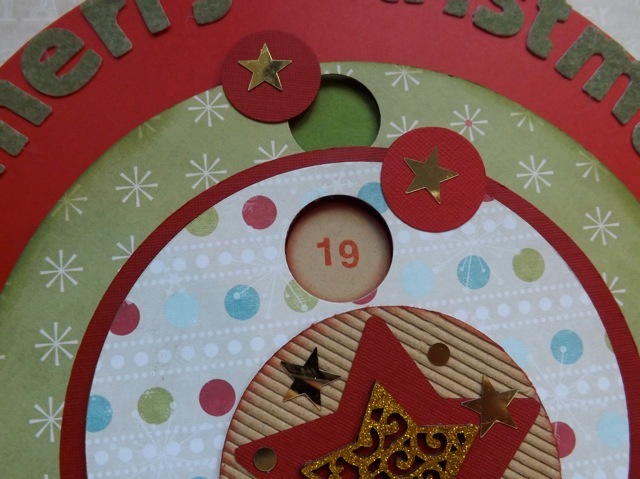 Frankly I do not want or need another Advent Calendar/countdown so I just used bits hanging around on my desk and a paper collection that has been in my stash for a while, rather than sacrifice paper I loved to make a sample. But even so I rather like it and might see if DDs class would like to use it next year – they can always tuck little tasks, forfeits or fun challenges into the bag then the class can make a game of it. 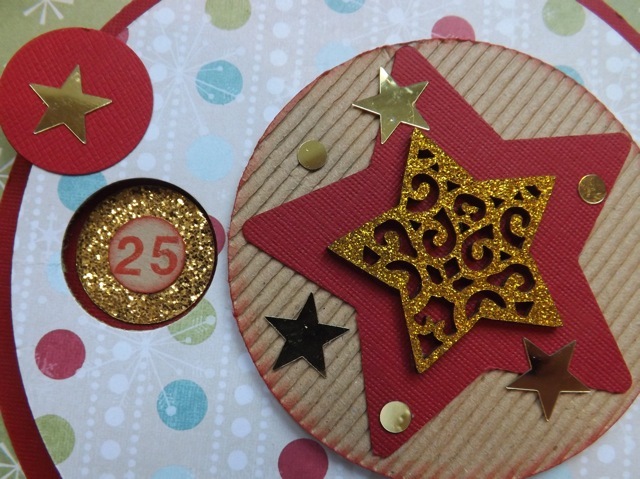 Categories: calendars, Christmas, tutorial | Tags: Advent Calendar, Christmas, how-to | Permalink.